I grew up in Rocky Mountain bear country. I spent a lot of that time in the mountains trying to get as far from my fellow human beings as possible, I even tracked several bears in the fall snows, and in all that time (over 25 years) I saw exactly three bears. One while driving and two while bow hunting. The first of those saw me, turned and ran away at full speed, the second never saw me and went about its business. I tell you this to say I have never been attacked by a bear, but I have gone to lengths to avoid the possibility of a bear attack. In North America there are three types of bears you will likely run into. If you are attacked you will want to know which type of bear is attacking you as it might make a difference on how you react. In the far north you may run into the polar bear. These bears are white in color and very dangerous. Polar bears have been known to actively hunt humans. If you are attacked by a polar bear, there is a very good chance it intends to eat you. You will need to fight back with every thing you have at your disposal. A little farther south, all the way down into Wyoming (and arguably Colorado) you will find the Grizzly bear. These bears are brown in color with a large hump on their back behind their head, along with a dished out face. The Brown and Kodiak bear are subspecies of the grizzly. grizzly. As the name implies they are usually black but in the west they can be a cinnamon phase that looks similar to the grizzly or even a blonde phase where they appear yellowish or golden. Many bear attacks come when humans and bears come together unexpectedly. 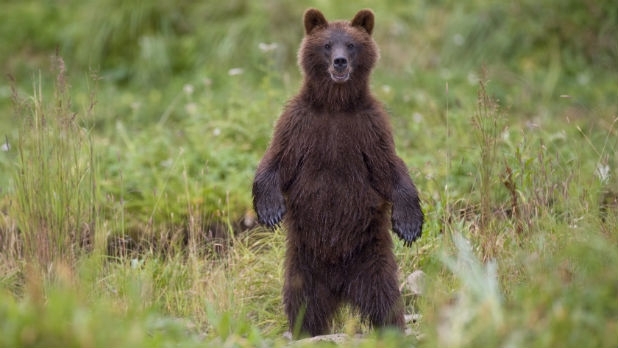 The result is a startled bear that may react and attack instead of avoiding contact altogether. To this end many people wear bells when hiking in bear country. They also talk or sing to let any bear in the area know that there is a human about. Many times the bear will take off without the human ever seeing it. 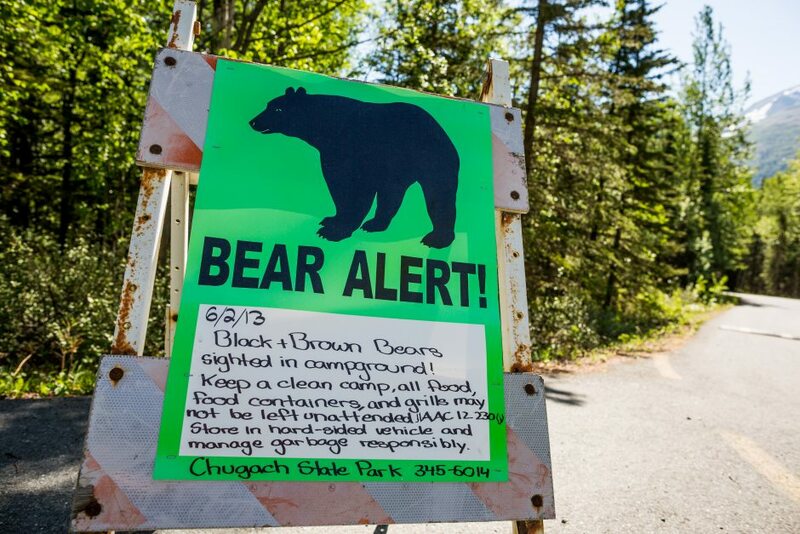 If you startle a bear do not run as this may provoke an attack instinct. If you can stand your ground, move slowly and avoid eye contact, pull up the hood of your jacket and move your arms out away from your sides to give the appearance of being larger than you are. Slowly start backing away. The bear may charge, but there is a good chance it is a false charge and the bear will stop. Continue backing away until the bear is out of sight. Leaving food out in bear country is an invitation for a visit from the local bear population. 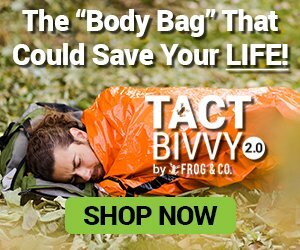 This opens you up to attack from startling a foraging bear or from a bear that is hungry and looking for a meal that could include you. Always police up your campsite and leave no food in camp. The best practice for an extended stay if to make a camp kitchen where all food handling is done at least 100 yards down wind of your sleeping camp. Then all foodstuffs should be secured to a line and hoisted at least 20’ off the ground. Sometimes for whatever reason an attack will happen; even bear experts who live with bears sometimes guess wrong and end up a meal. If a bear is stalking you through the woods there is a very high chance it will attack since it sees you as prey. If an attack seems imminent you must make up your mind right then how you will play it. If you have a pack on leave it on as it will offer some protection. If you have time (like if you are being stalked) put on your heaviest jacket and put up the hood and tie it in place. Put on as many clothes as possible in the time you have. 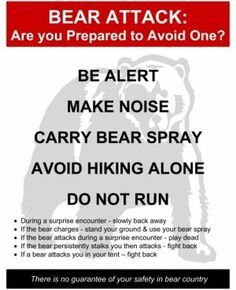 If you have bear spray you should try to use it. Read and learn the instructions on the can before you need to use it. Running is a bad idea as a bear can run much faster than you can. You may be able to get and keep a large tree between you and the bear and make it lose interest. Climbing a tree isn’t a good idea either as bears are excellent climbers. They can go right up a smooth aspen tree with no branches for handholds. They can climb anything you can. Many people will recommend playing dead and the bear will lose interest and move on. 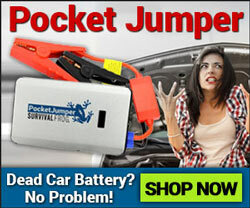 Most experts agree this will only work with grizzlies that have been surprised. By playing dead they will no longer see you as a threat. To do this drop to the ground face down with your hands laced behind your head. Do whatever you can to keep from being rolled over. Stay as facedown as possible and keep your knees and elbows tucked to protect your stomach if you are rolled over. If the bear is pawing trying to turn you over you can spread your legs out in a “Y’ to make it harder to turn you over. If the bear starts licking your bleeding wounds you will need to start fighting, as he now thinks you are a meal. If you are attacked by a black or polar bear you are most likely going to have to fight back. If you have to fight a bear it is obviously a life and death situation, so if you have been holding anything back, such as a firearm or bear spray you should use it now. A bear will attack mainly with its mouth and try for a killing bite. It will swat with its paws to try to knock you down or to hold you there for a bite. If you have a weapon such as a knife or even pointed stick, the mouth, eyes and neck coming at you will be your target. If for some reason you get a chance to stab at the chest, right behind the front shoulder will hit lungs and if you are lucky the heart. If all you have is a rock you were able to pick up smashing the head and eyes will be your objective. If you are attacked and the bear breaks off the attack, watch out as many times it will return shortly for another round. This can continue several times. The only time you will be safe is after the bear is dead or you are rescued. If you decide to go into the bear woods it is prudent to go well armed so you can avoid the messier details described here. But if you must go without a firearm, at least take a large knife and bear spray. 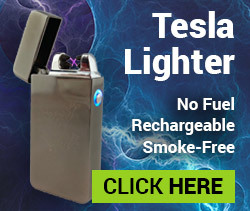 This entry was posted in Outdoor Survival, Wild Animal Survival, Wilderness Survival and tagged Bear Attack Survival on July 13, 2015 by David Adams.